Evaporative gas cooling and conditioning systems help protect your downstream equipment, enhance air pollution control performance, reduce gas volumes, and increase production capacity. Central to our systems are Turbotak atomizing nozzles, which introduce a controlled amount of finely atomized water into the hot gas stream to reduce and/or maintain gas temperature. The water evaporates, while absorbing heat from the gases, for free-flowing dust, zero liquid discharge, and minimal or no wall buildup. Our proven design has been used in hundreds of installations. Incinerator, kiln, or furnace exhaust gases are cooled prior to baghouse filtration, reducing the volume of exhaust gas to be filtered and thereby protecting the baghouse/pulse jet fabric filter. MEGTEC can provide new installations or retrofits and upgrades to existing systems, as well as other components and services such as spray nozzles, controls, pumps and cooling tower fabrication. Used in hundreds of industrial applications, Turbotak and SoniCore nozzles atomize liquids to fine (5 µm to 60 µm SMD) droplets. The air-atomized nozzles feature a proprietary, two phase design design for superior control of droplet size and spray distribution. The combination of the small droplets, the distribution pattern and rugged construction make them ideal for a wide variety of applications, including evaporative gas cooling and conditioning, spray drying, wet and semi-dry scrubbing, performance enhancement of air pollution control systems, dust suppression, as well as combustion and incineration. 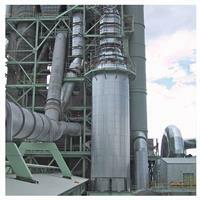 Environmental control technologies for the environmental/emissions sector. 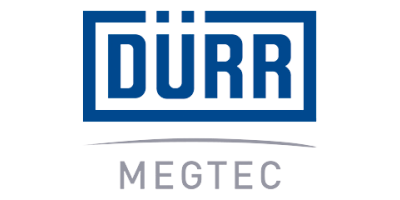 No reviews were found for Dürr Megtec - Flue Gas Temperature Control System. Be the first to review!